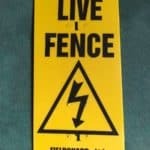 By law, signs must be prominently displayed every 100m on any live fence with which the general public may be in contact. They are not necessary on private land. Two signs are included free of charge with most fence orders. 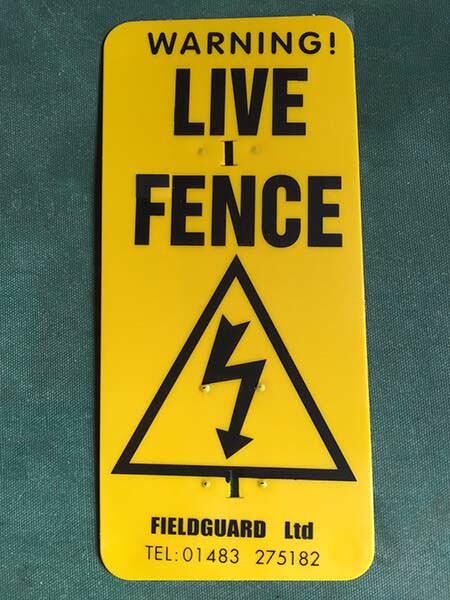 By law, warning signs must be prominently displayed every 100m on any live fence with which the general public may be in contact. They are not necessary on private land.